Back to school is such an exciting time for us! Now that my kids are back to school we have been planning our lunches well in advance. Sandwiches are obviously a first choice for lunches, but I like to get creative with them! 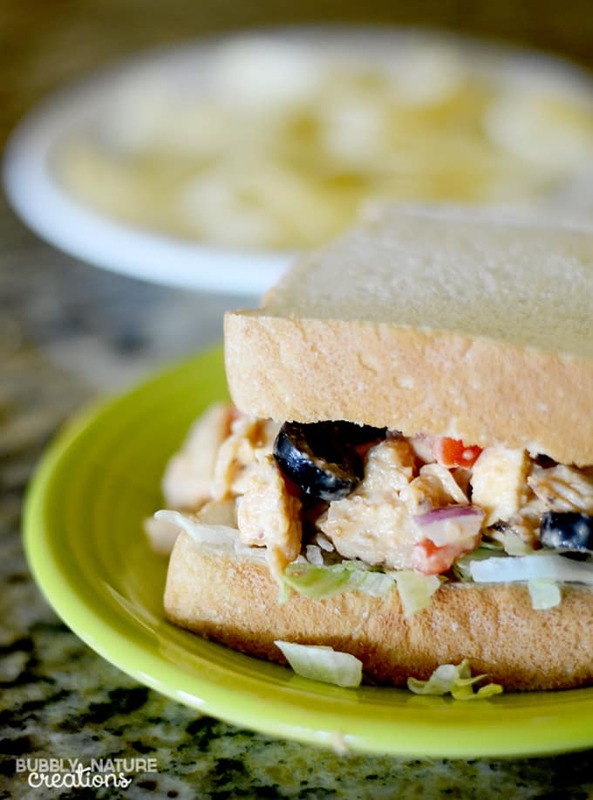 My oldest daughter loves spicy sandwiches and I made this sandwich with her in mind. I can tone down the spiciness for my other kids too. 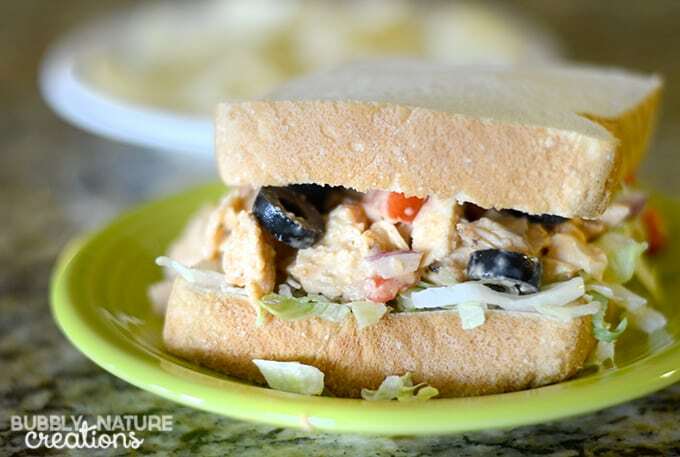 Normally I wouldn’t even think to grill chicken for a sandwich unless it was a leftover, but I do love the taste that grilled chicken gives to chicken salad. That’s where Tyson® Grilled and Ready® Chicken Breast Strips come in handy. I can heat up the Tyson® Grilled and Ready® Chicken Breast Strips in the microwave and it only takes a few minutes to make the sandwiches. 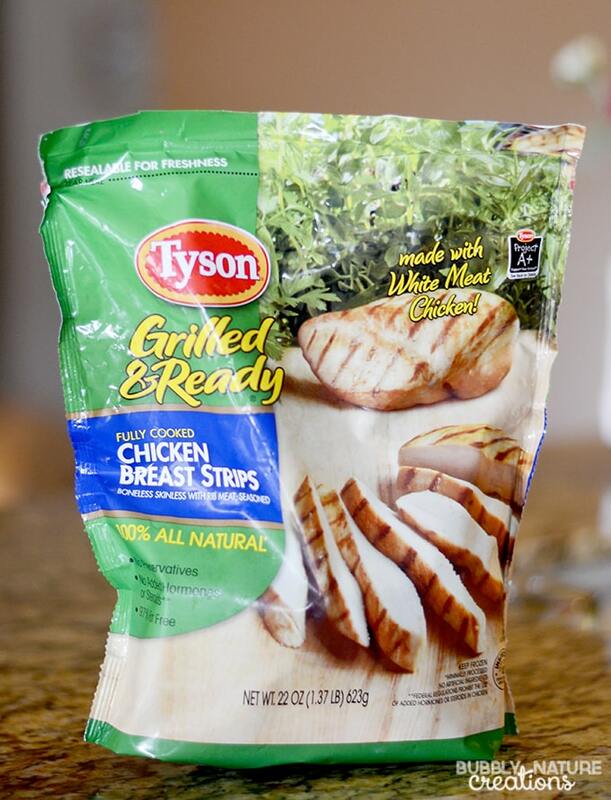 I find theTyson® Grilled and Ready® Chicken Breast Strips at Walmart. I always try to keep a supply of Tyson® Grilled and Ready® Chicken Breast Strips in our freezer because they are so versatile. I just use them anytime a recipe calls for cooked chicken! Tyson® Grilled and Ready® Chicken Breast Strips​ are 100% all-natural, made with all-white meat and 97% fat free. It’s such an effortless way to make healthy home cooked meals. 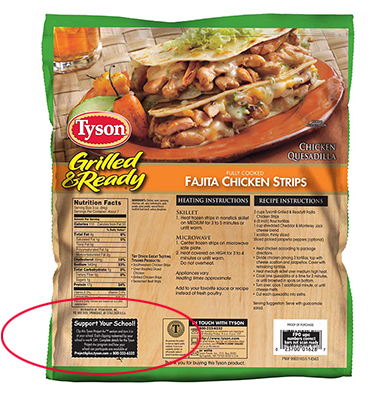 The other reason to love Tyson® Grilled and Ready® Chicken Breast Strips is that it has a Tyson Project A+™ program label on the back. There are other Tyson® products with these same labels also. The Tyson Project A+™ program is one of the simplest ways to support local schools. On the back of the Tyson® Grilled and Ready® Chicken Breast Strips is a Tyson Project A+™ label that I clip and submit to support our local Glenpool Public Schools. For every label submitted, Tyson will give the school cash and the school can use the money for whatever it needs. See an example of where to find the label above and learn more here. Walmart has recently partnered with Tyson Project A+™ and any school that is nominated has the chance to win! I recently nominated our local school Glenpool Elementary School because I believe they are doing some of the most vital work in our community by serving our kids. I am glad that I can help out our local schools this way! Want to nominate your school? 2. Nominate your school by sharing why your school needs a head start on collecting Tyson Project A+™ labels. 3. Once you submit your reason, you will get the option to share your post on your OWN social feeds to drive your community’s involvement. 4. The school with the most nominations will receive a packet of labels worth $1,000 to help their school get a head start on collecting Tyson Project A+™ labels. Mix everything together in a small bowl except bread and lettuce. Top one slice of bread with a layer of shredded lettuce. Add the chicken salad on top of this then top with the other piece of bread. Eat immediately or place in a sandwich bag in the refrigerator for later (or in thermal lunch sack). Hmm sounds nice. Will be giving this a go over the weekend. Thanks.